One thing that everybody who knows about Viola Beach, a four-piece rock band from Warrington, UK, seems to say is that they were going places. Going big places, and fast. Formed in 2013, the up-and-coming band featuring Kris Leonard (guitar, vocals), River Reeves (guitar), Tomas Lowe (bass), and Jack Dakin (drums) worked their way up from playing gigs in Manchester to earning coveted spots at several big-name festivals (including last year’s SXSW, T in the Park, and Reading and Leeds) and getting airplay from BBC’s most-popular Radio 1. Their upbeat Brit-rock continued to turn heads, and the band released two singles (“Boys That Sing” and “Like A Fool” earlier this year) that hinted at a future LP. However, everything changed on February 13, 2016. While in Sweden for a festival, all four members of Viola Beach along with their manager, Craig Tarry, were killed in a car accident. All thought of an album disappeared as family, friends, and fans grappled with the fact that four of British music’s brightest up-and-coming musicians were gone, as was the manager for several of Britain’s major up-and-coming bands. The stunned silence that usually accompanies a tragedy like this lasted for only a few minutes. In a show of indie rock at its very best, bands and musicians – from touring partners Blossoms to Billy Bragg to Coldplay – across Great Britain and the world voiced their sympathy and support via Twitter, covered Viola Beach songs (Coldplay even did a sing-along tribute at Glastonbury, while Blossoms and others did likewise several weeks ago at Reading), and even helped organize a full-on BBC-sponsored tribute concert. And were they ever right. Viola Beach’s eponymous album was officially released on July 29 and immediately hit Number One on the UK’s Official Albums chart. Not one song on the album has less than 100,000 plays on Spotify. And lest anyone think this is just fan hype or pity listens, Viola Beach gained shining reviews from both NME and BBC Radio 1’s Huw Stephens. “Swings and Waterslides,” the single that serves as the album’s first track, is satisfyingly dance-worthy. Its complete, catchy rhymes are more than worthy of the next Volkswagen commercial, à la Saint Motel or The 1975. This is a perfect introduction to Viola Beach’s signature indie rock – punchy and upbeat, without sacrificing too much to pop. As Leonard belts “eyes wide, bright light, time flies, feels right,” and segues into the chorus, it’s not hard to believe that “Swings and Waterslides” has perfected the feel-good summer rock anthem in one go. “Like A Fool” kicks off with a synth backing so catchy it’s reminiscent of Peace’s early hit “Bloodshake.” But that’s where the similarities end. More Britrock than synthrock, Leonard’s quick, rhythmic vocals speed “Like A Fool” along, catapulting us headfirst into the chorus, begging us to shout “I don’t need your love!” with him. The following track, “Go Outside,” matches “Like A Fool”s speed, complete with Leonard and Reeves’ mile-per-minute, hum-along guitar riffs. Viola Beach’s knack for synthy intros that melt away into fast-paced indie rock stands out especially in following tracks “Cherry Vimto” and “Drunk.” Both songs track feelings for that one person that it’s always hard not to call – “Cherry Vimto” by asking “Do you know how hard, don’t you know how hard, I’ve tried to leave you behind/But there’s a new story every time I look in your eyes,” and “Drunk” by playing up that near-universal sentiment of needing to get drunk and battling picking up the phone. It’s okay, I’ll just say I was drunk yesterday and just hope that you still want to stay. “Call You Up” is sentimental without drifting into ballad territory, honest to the point that it realizes that the person on the other end might be beyond reaching “I’d call you up with the thought that you’d like it). The album’s last two songs – “Get To Dancing” and “Boys That Sing” show Viola Beach at their energetic, upbeat best. As a live BBC session recording, “Get To Dancing” is rough around the edges in the way that rock was always meant to be. Leonard’s grittier vocals take and Lowe’s rougher bass lines do exactly what the lyrics say – they get you up and dancing. So I’ll learn how to sing. 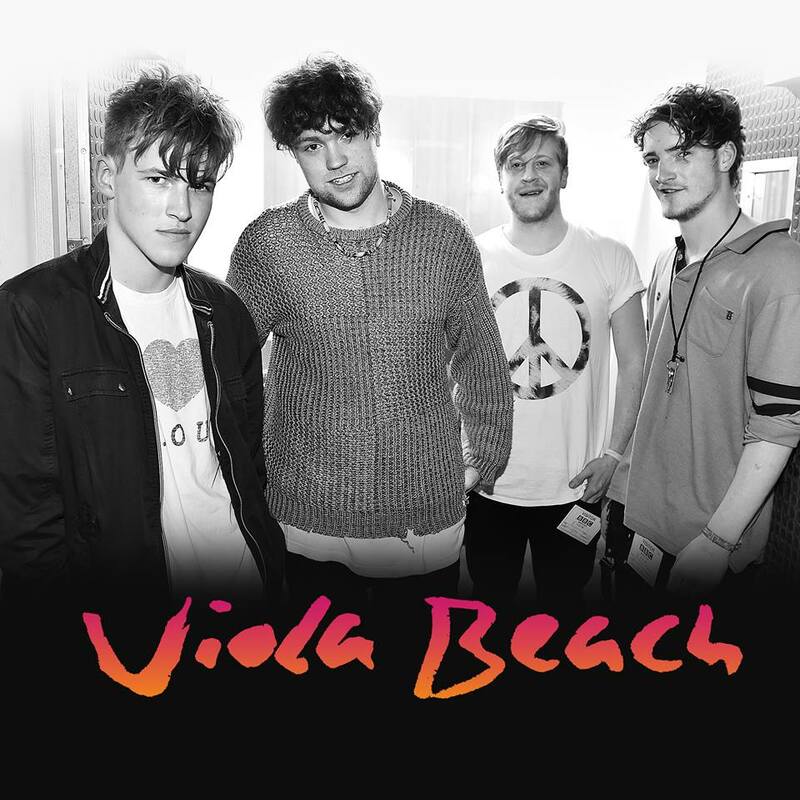 While it’s unfair and beyond bittersweet that this album was released posthumously, Viola Beach does more than allow Viola Beach to share their music once more or redefine the band’s legacy. It gives the indie world the dose of optimism that it sometimes severely lacks – and by doing such (to paraphrase The Smiths), reminds us that in music, there still can be a light that never goes out.